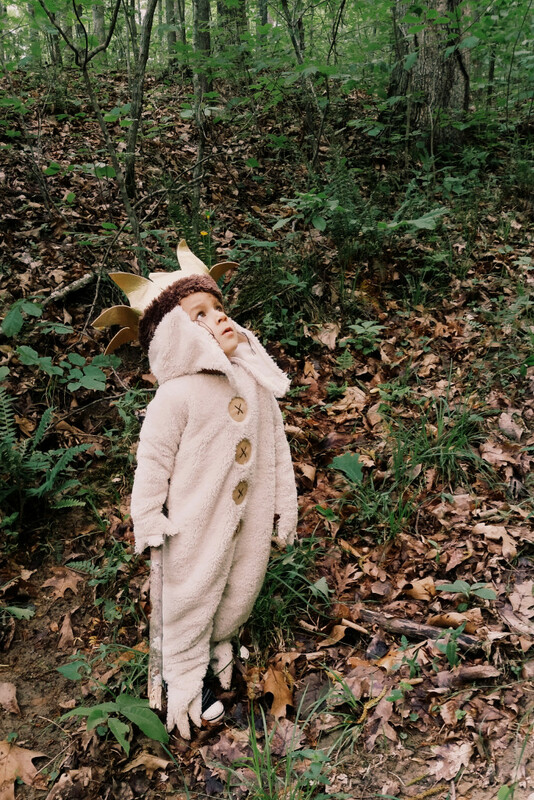 King Of All the Wild Things | All Things Ali J. 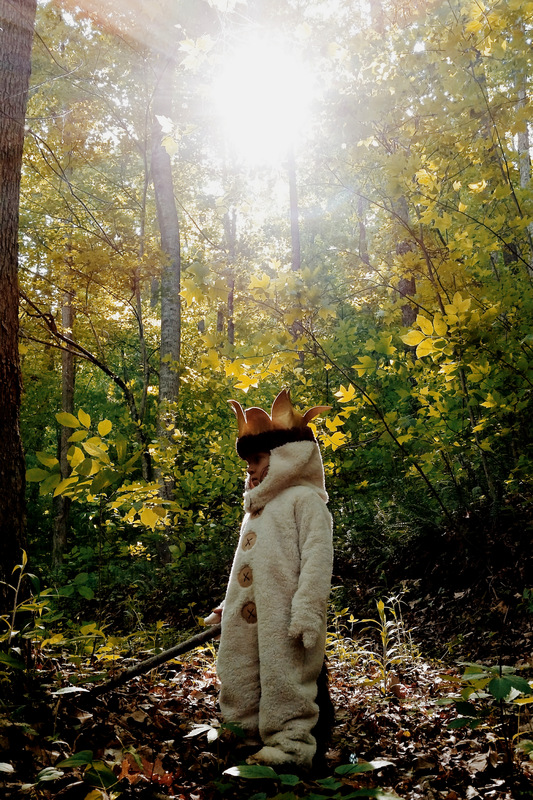 Yesterday Dex and I read “Where The Wild Things Are”. We’ve read bits and pieces before but on this particular day he curled up next to me and snuggled close with his blankie. 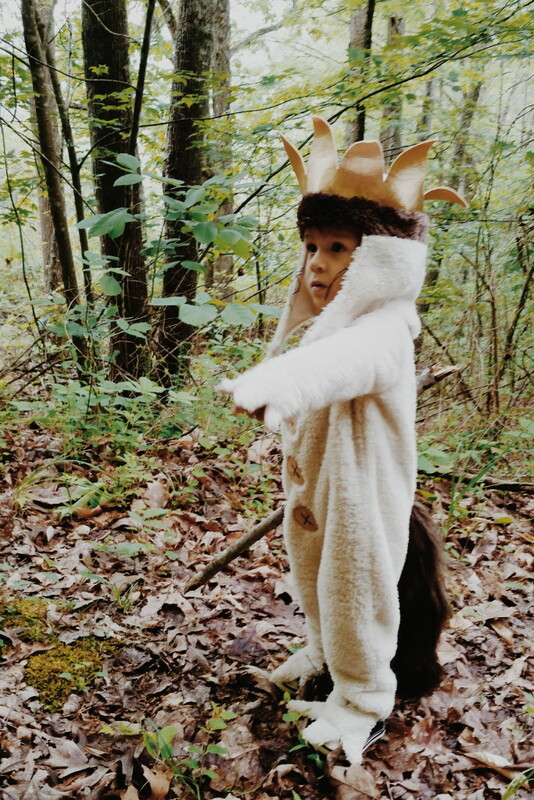 He sat thru the whole story completely absorbed as we roared and flashed our claws and showed our teeth along with the wild things. After we finished I pulled out his Max costume that had been stashed away in the back of his closet. It’s one of the few things I bought for him before he was born. I remember thinking how it would be forever before he would be big enough to wear it. My heart ached a little as I dressed him realizing it was now a perfect fit. That day I thought would take forever to arrive was here and now. Sometime in between last spring and this he has grown up into a little boy. Even though he’ll always be my baby in a sense I no longer see that little baby when I look at him. This time last year he had just taken his first real steps. This spring he doesn’t walk……he runs. Last year he would nurse himself to sleep at night and would wake if he wasn’t snuggled right up beside me. Now after he finishes nursing he pops off and says “Mmmmm, good!? !”, rolls over to his side of the bed and falls asleep holding onto his puppy, horsey, and elephant instead of me. Last year he was too scared to go on the baby swing at the playground and now I’m not even allowed to wait at the bottom of the slide for him. 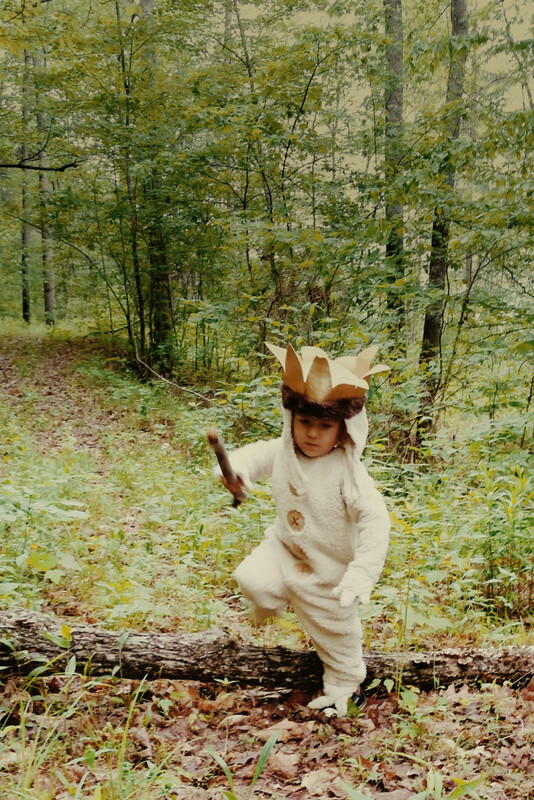 And yesterday as we walked together in the woods my little wild thing refused my offers to help him over that log and across that stream. He ran far ahead on the trail exploring every new tree and every tiny little bug and every rock. I watched as he roared and flashed his claws at the bugs and beat the smaller plants with his stick and ran down the hills. Every once in awhile that little wild thing would run back with a flower petal he had found just for me. 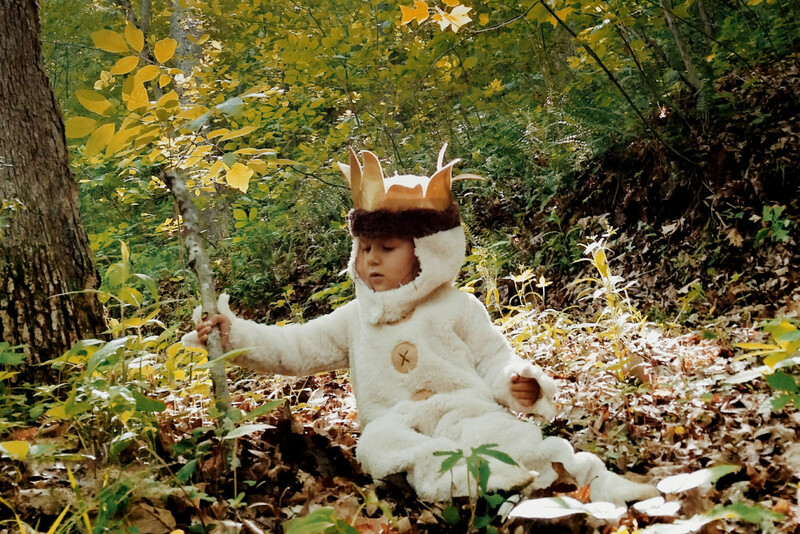 After a long while he began to lose interest in the woods and all the wild things in them. 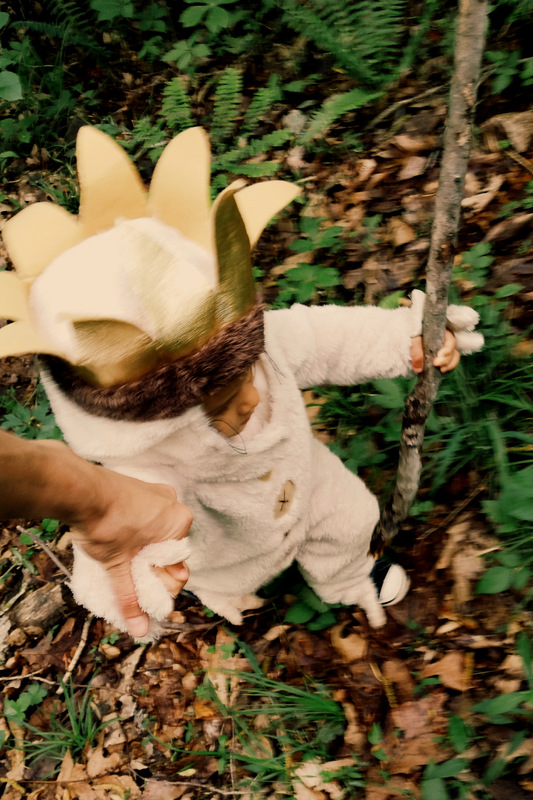 He ran back to me and just like that…..
this little wild thing wanted to hold his mama’s hand as we found our way home.